FAIRCOM NEW YORK has been helping nonprofits raise funds to change the world for nearly 25 years. In 1993, when we were EuroAmerican Communications, we introduced international nonprofits to the American fundraising market. Over time, we began to partner with leading American and international organizations. We expanded our services once again, and Faircom New York was born. Today, we are at the forefront of nonprofit fundraising. Developed new data analytics programs to bring our partners the best long-term value and strategy recommendations. Awards Look great on our walls, but our real measure of success is our nonprofit partner’s happiness with our work. Named New York’s “Best Non-Profit Marketing Agency” in 2015 and 2016. Corinne Servily was named the 6th most effective fundraiser in the world. Our Emergency Airgram won DMFA’s runner up best acquisition direct mail appeal of 2017. 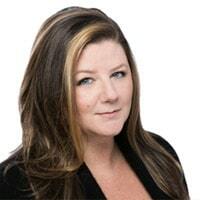 Sally has over 20 years experience in direct marketing, having worked in both the for-profit and non-profit sectors. 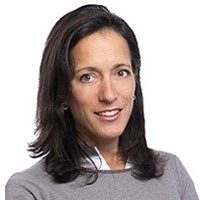 From using data driven techniques to solicit small business card members for American Express, to targeting investors for Goldman Sachs’ start up, GS.com, Sally brings a diverse background to Faircom New York. She works with the Cousteau Society, the Nelson Mandela Foundation, Human Rights Watch, USCJ, and TechnoServe among others. Stacey was appointed Faircom New York’s Director of Finance and Administration in January 2011 and Vice President of Finance in April 2015. As VP, Stacey is responsible for implementing the agency’s financial infrastructure and overseeing all aspects of human resources. Stacey holds a B.S. in Business Administration with a concentration in Finance from Le Moyne College located in Syracuse, NY. With 14+ years of experience, Stacey began her career as a Sales Analyst for State Street Bank in Boston, MA. 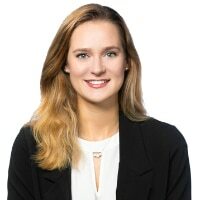 Prior to joining the FaircomNY Team, she was the Senior Accountant and point of contact for all clients and vendors at a privately owned construction company located in Manhattan. What is on your travel bucket list? Vienna in December! There is something so alluring and exciting about snow covered streets, Baroque architecture, holiday lit Christmas Markets, performances at the Wiener Staatsoper and the beautiful Lipizzaner Stallions that it is now at the top of my list! 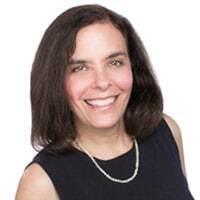 Barbra is a marketing professional with over 20 years of experience in multi-channel campaign strategy and management. She has a successful track record of increasing revenues through introduction of new program opportunities and improved data interpretation. Barbra spent 10 years at the March of Dimes, where she helped double revenue for the direct response department. Her other work experience includes time at companies in both the nonprofit and for profit sector including WonderWork, Citibank and MasterCard. She is a strong believer in continuing education in the industry and has been actively involved with both the DMFA and DMA. She currently works with TechnoServe, Learning Ally, the National Urban League, and IPPF/WHR, among others. Barbra received her MBA from Columbia University and her BA in economics from Tufts University. In her free time Barbra loves to travel and hike. Her favorite trip was to see Mt. Everest in Nepal. In her less adventurous time she can also be seen working diligently on the NYT crossword puzzle. What is your secret fundraising weapon? Not being afraid to make the ask. Diana has over 13 years of experience in direct response fundraising. She launched her career at New York cultural institutions like The New York Public Library and the Whitney Museum of American Art, where she managed the membership and Annual Fund programs. Prior to Faircom, Diana oversaw the fundraising campaign strategies for organizations ranging from environmental to advocacy to animal welfare. She graduated from Mount Holyoke College with a B.A. in European history and still loves traveling through the continent exploring all the castles, churches, and historical sites. 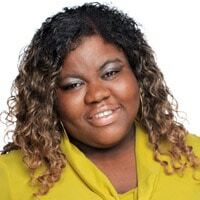 She currently works with Learning Ally, National Hemophilia Foundation, and National Urban League, among others. What is on your bucket list? I would love to one day visit Peru and Brazil, climbing up Machu Picchu and discovering the Amazon rainforest. Alanna has spent her career working in the nonprofit sector as a communications specialist. 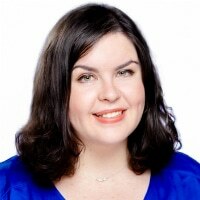 Working on both the nonprofit and agency sides have provided Alanna with the unique experience to understand the keys to advance a campaign using important techniques learned on both sides. 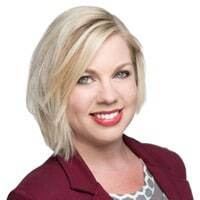 Her experience includes using data-driven methods and creative strategies to execute successful direct mail and integrated campaigns leading to increased revenue and donor response. 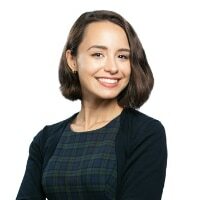 At Faircom New York, Alanna works in a variety of capacities, including consulting and account services, strategy, writing, editing, and serves as the day-to-day contact for Learning Ally, USCJ, the Community Service Society, and Inner-City Scholarship Fund, among others. What is your favorite thing to do in NYC? Born and raised in New York, I still get excited about the expansive amount of activities there are to do, and I will always love its special cultural flare. However, my favorite thing to do in my spare time is to just wander the city streets with family and friends. Since joining Faircom New York over six years ago, Tracy has worked in a variety of capacities ranging from answering phones and welcoming clients at the office to consulting and account services, strategy, editing, production of large donor mailings and serving as the day-to-day contact for many of Faircom New York’s clients. 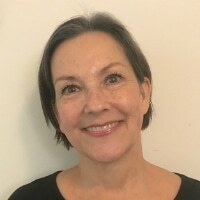 While at Faircom New York, Tracy has worked with a myriad of clients within various sectors of the nonprofit industry such as international relief groups like Action Against Hunger, healthcare organizations like Montefiore Medical Center, animal non-profits such as Valley Animal Center, and many more. Tracy possesses a degree in Business Administration with a concentration in Marketing from Berkeley College in New York. In her spare time (and even while at her desk), you can hear the slight echo of Celine Dion and Phil Collins’s voices radiating from her speakers. Tracy is a huge TV and music buff! What is your favorite page on the Internet? YouTube! YouTube is a place to connect people—a live, up-close and personal stream of information. There is so much that can be viewed and learned from this site. Q: What is on your bucket list? Well, I love to travel, I’m in awe of the vast and varied beauty found in nature and (maybe weirdly) I’m a little obsessed with vintage Volkswagens so a road trip in an old Westfalia to visit all the western national parks is high on my list! 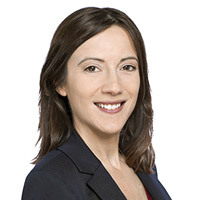 Winnie joins the Faircom New York team from the world of politics; she previously managed strategic communications for several members of the New Jersey Legislature and coordinated direct mail and digital marketing for political candidates across the state. 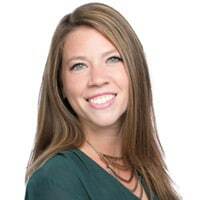 She offers clients a unique perspective, helping craft persuasive appeals and identifying opportunities for integration, optimizing campaign results and meeting donors where they are. Winnie holds a Bachelor of Arts in English and Political Science from Rider University. Outside of the office, she is passionate about community service, music, and creative writing. What is your favorite thing to do in NYC? Trying local restaurants or walking the High Line. 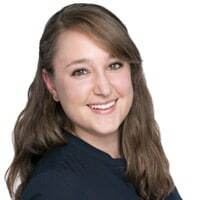 Miriam brings to Faircom 5 years of experience as the Digital Marketing Manager at Jewish National Fund, where she managed all digital campaigns and social media for the billion dollar non-profit. She is an expert in using social for good, specifically utilizing tools such as Facebook and Instagram Ads, YouTube, and email marketing. 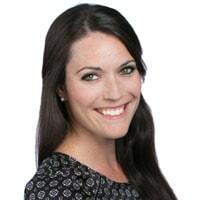 Miriam began her career in programmatic advertising for clients such as Weight Watchers and Stoli vodka at Neo@Ogilvy, and prior to that worked in television advertising at Scripps Networks (parent company of the Food Network and HGTV). She brings her knowledge and expertise to Faircom’s clients such as National Urban League and United Synagogues of Conservative Judaism. Miriam is a graduate from the Macaulay Honors College at Baruch with a Bachelors of Business degree in Marketing. 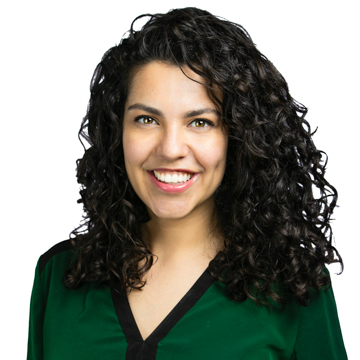 Miriam is also a certified yoga instructor, a marathon runner, a mom, and a born-and-raised Brooklynite. She loves to travel and has been to Morocco, Thailand, Portugal, and Chile! I am passionate about women’s reproductive health, specifically surrounding maternal care, so my dream is to one day become a volunteer doula and provide support to women throughout labor and delivery. What is on your bucket list? Traveling to Japan, Greece, and France. I enjoy learning about and experiencing new cultures. 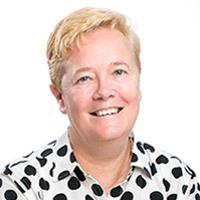 Patti is a seasoned leader in the print production field, providing her expertise and acute eye for the bottom line on direct marketing, promotion, collateral and out-of-home initiatives. 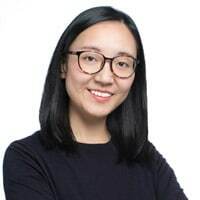 She previously worked with companies like American Express, Citibank, and Euro RSCG (now Havas Advertising) before joining the Faircom New York team. Patti received a B.S. 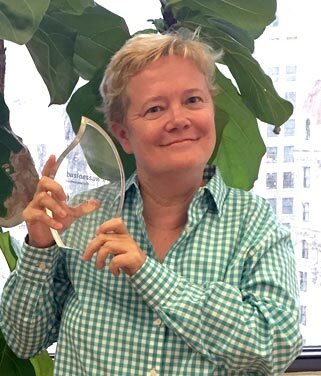 in Interdisciplinary Studies from SUNY, Empire State College, 25 years after beginning a 2-year marketing concentration at CUNY, Bernard M. Baruch College—proof of her ability to see projects through to their completion, no matter how long the effort. 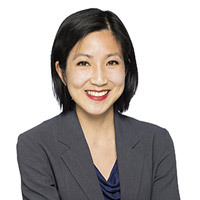 She currently works on projects for Action Against Hunger, Montefiore Medical Center, the Partnership for the Homeless, and other Faircom New York clients. What is your favorite thing to do in NYC? Visiting all of NYC’s great art museums and people watching. 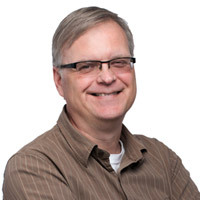 Ron comes to the Faircom New York team with over 25 years of Direct Mail and Print Production experience. In the past he has managed large accounts such as The Smile Train, Chase Bank, and Liberty Mutual Insurance, to name a few. He has worked for various large advertising agencies within the New York City area. His sharp eye for detail and knowledge of the direct mail/print production world make him a great asset to the team. Ron is also an experienced handyman (on the weekends) and has his own business. He can fix or repair just about anything that comes his way. In his spare time, he is usually busy changing a faucet, fixing a cabinet, or hanging shelves at his home or for one of his clients. What is on your bucket list? Someday…. I hope to take a vacation to Hawaii. It’s a place that I’ve always wanted to visit and experience its beauty. Yao received her B.S. in Mathematics and Applied Mathematics from China Agricultural University in Beijing. 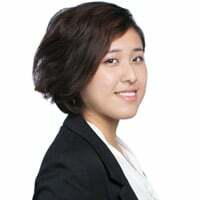 She later moved from China to New York to earn her Masters in Statistics at Columbia University. 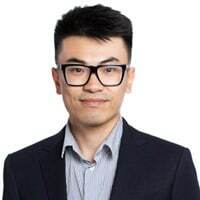 Yao consistently provides detailed insights into client data with models forecasting future earnings and new ways to examine ROI across numerous channels. By applying several advanced data tools such as SQL Server, Excel VBA and Tableau, Yao enhances the portfolio of standard reports with customized program testing, data visualization and trend predictions. These reports, tailored toward the specific needs of each client, give the agency a strategic approach to client planning and budgeting. What is your favorite thing to do in NYC? Searching for different restaurants on Yelp and trying them one by one. Sen received his two Master degrees in Applied Statistics and Information Management and certificate of advanced study in data science at Syracuse University. Sen hold his B.S degree in Actuarial Science at Ohio University. He is being selected as Alumni class leader in 2016. Sen was working at SALT (Social Computing System Lab) as Data Analyst and published a paper “Municipal police Departments on Facebook: What are They Posting and Are People Engaging?” at the 17th International Digital Government Research Conference. 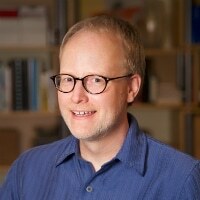 He is interesting in crowdsourcing, predictive modeling, texting mining, natural language processing and data mining. Currently, he is working on the predictive modeling for some of our clients. Sen is from Beijing, China. He enjoys playing video games and traveling. What is the first thing you do every morning? Walk my dog and feed her. 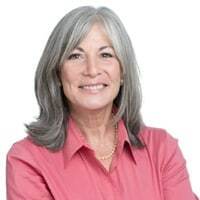 Linda has devoted 30+ years to direct response fundraising as a copywriter, creative director, agency co-owner and freelance writer and creative consultant. She has worked with CARE, The Salvation Army, Catholic Relief Services, American Cancer Society, Food for the Poor, Habitat for Humanity, Christian Appalachian Project, Make-A-Wish Foundation, Easter Seals, ASPCA, and many others. Linda currently works with many of Faircom’s clients as a writer and creative consultant. Linda holds a BS in Business Administration with a major in Marketing from Drexel University. What do you do for enjoyment? I play make-believe with my toddler granddaughter who lives right next door. I also read, mostly magic realism. Tom’s work has appeared in Graphic and Print Magazine and his web sites have been featured in Adobe Create Magazine. He studied graphic design at Penn State University and worked as a creative director in Pittsburgh and Washington, DC, before moving to Maine to start his own business. In his spare time, he enjoys working on his mixed-media collages, photography, kayaking, camping and experimental cooking. 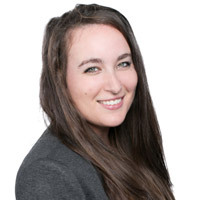 Emily joined Faircom New York in the spring of 2015. She holds a B.S. in Zoology from Oswego State University and has completed graphic design programs at Hunter College and the School of Visual Arts. She works with all of the teams at Faircom, utilizing a variety of techniques to communicate visual information in an exciting and effective manner. Emily uses her unusual background in graphic design and the natural sciences to approach each project in a unique way. 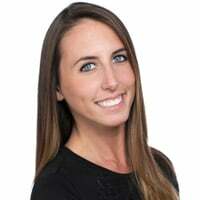 Amanda brings 3 years of combined marketing, fundraising, and nonprofit experience to the FaircomNY team. 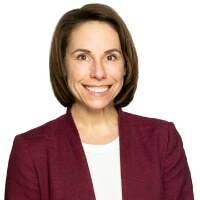 Her previous work in brand engagement and institutional development have given her unique insights into how donors interact with nonprofits through their mission, values, and strategic goals. She holds a B.A. in Anthropology from Drew University and is pursuing a M.A. in Museum Studies, focusing on nonprofit management, from New York University. Outside of work she can be found exploring New York City and visiting its numerous museums. What is on your bucket list? It’s always been a dream to volunteer at a panda sanctuary in China. They’re one of my favorite animals and I would love to be involved in the conservation effort. A veteran of the Faircom New York team for 8 years, Molly has had a strong paw in shaping Faircom’s current structure, and makes the final decision for all new hires. She has dedicated her life to improving the office atmosphere and lifting the spirits of her fellow staff members. Molly’s hobbies include sleeping on chairs, sleeping under desks and barking during conference calls. 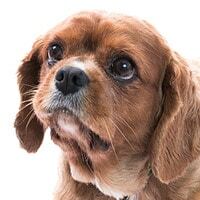 As one of the senior members at Faircom, Molly offers a unique insider perspective on the world of fundraising and the life of an French office dog on her personal Instagram, @MollysMarketingTips. What is the first thing you do every morning? Check out @mensweardog‘s most recent post on Instagram to see if I can ‘accidentally’ run into him on the street on my way to work. With offices in New York and Paris, no matter your time zone, we’ve got you covered. Faircom International straddles PARIS AND NEW YORK and handles a niche of international clients seeking international communications and advocacy support. Join our team of fundraisers, marketers, and changemakers.